Trabzonspor and ADO Den Haag meet , in a friendly match, the first of the year for both teams. These two teams have never met before, so this will be the first head‑to‑head between them. ADO Den Haag registers significant differences between home and away results, so special attention is due to the home/away factor. The home team plays its first friendly match of the year, after having played 8 friendlies last year, with the following final scores in the last 5: Trabzonspor (0‑0) Cagliari, Trabzonspor (3‑0) Samsunspor, Trabzonspor (1‑1) Lekhwiya, Trabzonspor (1‑4) Spartak Moskva and Trabzonspor (1‑0) Lokomotiva Zagreb. This is a team that usually maintains its competitive level in home and away matches, since in the last 30 matches they register 6 wins, 5 draws and 4 losses in away matches, with 25 goals scored and 23 conceded; against 9 wins, 4 draws and 2 losses at their stadium, with 33 goals scored and 13 conceded. They come to this match after a home win against Rizespor by (4‑1). 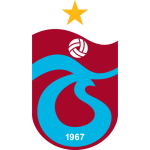 Trabzonspor has won 7, tied 2 and lost 1 of the last 10 home matches. Their offense has scored frequently, since they have scored goals in 9 of the last 10 matches. They have conceded the first goal in 5 of their 15 matches, and have only turned the score around in 1. Confirmed Lineup: B. Güngördü, João Pereira, H. Türkmen, Y. Çakır, L. Ibáñez, A. Ömür, B. Artarslan, Y. Yazıcı, A. Nwakaeme, C. Ekuban, H. Rodallega. The away team plays its first friendly match of the year, after having played 10 friendlies last year, with the following final scores in the last 5: ADO Den Haag (0‑2) Aris, ADO Den Haag (3‑1) Panathinaikos, ADO Den Haag (0‑3) Oss, ADO Den Haag (0‑2) Dordrecht and GOES (2‑1) ADO Den Haag. This is a team that usually gets better results in away matches than at home, since in the last 30 matches they register 6 wins, 2 draws and 7 losses in away matches, with 37 goals scored and 31 conceded; against 4 wins, 4 draws and 7 losses at their stadium, with 18 goals scored and 31 conceded. In their last match, for the Eredivisie, they got a home tie against Feyenoord by (2‑2). 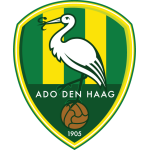 In the last 10 away matches ADO Den Haag has won 4, tied 2 and lost 4. Defensive consistency hasn’t been their best feature, as they have conceded goals in 8 of the last 10 matches. In their away matches there is a tendency for goals, since 25 of the last 27 matches have ended with Over 1,5 goals and 20 out of 27 have ended with Over 2,5 goals. In 15 matches, they have conceded the first goal 9 times and have only turned the score around in 1. Confirmed Lineup: R. Zwinkels, A. Meijers, G. Troupée, W. Kanon, S. Pinas, A. El Khayati, L. Immers, D. Bakker, M. Lorenzen, Zhang Yuning, S. Becker.